Souqis India’s one of the fairest priced with premium quality online retailer for Mobile Phone, Electronic Items, Home and Fashion. Souq, brings to you an extensive range of local and international brands in the region, as well as in-house brands. At Souq they, ensure that their customers have satisfaction and comfort while shopping with them. Through their shipping and 7/14 day return or exchange policy they believe in making your shopping an experience more value and more satisfactory.From time to time Souq, make the prices killing promotion. Your frequently visit will catch the right time to get your most favorite. Their team will make you surprise. Buy more, rewards more. If you order many items through Souq, to the same address, they may be dispatched separately and they cannot guarantee delivery of all the items on the same day. They make every effort to dispatch your products on time. If they are unable to deliver the products within their normal timeframe, they will notify you about the same well in advance. Cancellation fee (if applicable) will be deducted proceeding to refunding the amount. If the products are not delivered within the time period they specify in the Order Confirmation Email, please contact their Customer Care Department quoting the order number contained in your Order Confirmation Email. Delivery takes place when the items are delivered to the delivery address you specified when placing your order. After this point, responsibility for loss, breakage and damage passes to the customer. Ownership of the products purchased does not pass to the customer until payment is received by Souq in full. All products sold by souq-india.com are warranted exclusively by the manufacturer/distributor/supplier. All the products needing repair should be sent to the manufacturer/distributor/supplier straight for service or warranty claim. Souqreserves the right to examine the item before approving replacement under warranty. Souqalso offers an extended warranty which varies from product to product, which is only applicable at the time of purchase. Souq, will not be liable for any consequential or incidental spoil resulting from the sale or use of any commodity purchased from them. They reserve the right at any time to make alterations to their website, these Online Shopping Terms and Conditions, Privacy Statement and such other policies as they may notify. Some of the warranty does not cover defects consequentialto failure to follow operating instructions; improper or unreasonable use or maintenance; accident; connections to improper voltage supply;excess moisture; insects; unauthorized alteration or modification of original condition;lightning; power surges; damages caused by inadequate packing or shipping procedures; damages caused by use with third-party products/applications; loss of, damage to or corruption of stored data; product that requires modification or adaptation to allow it to function in any country other than the country for which it was designed, manufactured, approved and/or authorized, or repair of products damaged by these modifications; and products purchased from unauthorized dealers. One can make payment through any medium like debit card, credit card, net banking, EMI, etc. Souq, being a UAE brand may change prices of its products according to the country in which they are selling their products. Get extra 15% Off: Shop for any products and get an exclusive discount of extra 15% off any products by paying through any card at Souq. No minimum purchase limit and no promo code is required. 90% Off: Enjoy the end of year sale with massive discounts. Get up to 90% off on many branded products. The range of products is huge. So grab now! 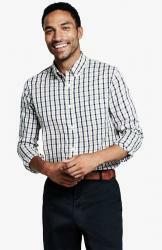 Tommy Hilfiger @ 60% Off: Shop from Tommy Hilfiger and get up to 60% off on your total bill. Limited period offer. 85% Off: Starting only from a minimum of 40% off and ranging up to 85% off on all women fashion clothing Souq presents the most desirable sale. 60% Off on Men’s Wear: Shop for all men fashion clothing and grab upto 60% Off. Hurry now!